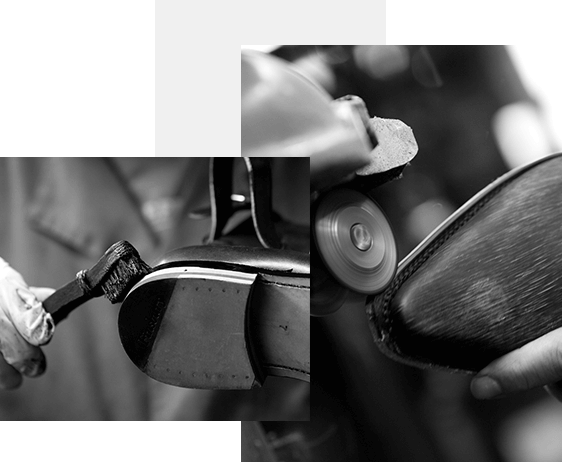 The Goodyear Welt is a footwear manufacturing process that can be carried out either by machine or by hand. In 1874, Charles Goodyear devised a machine to mechanize the process and make it easier and more productive. Even today, nevertheless, operating the machine requires a certain degree of human skill. 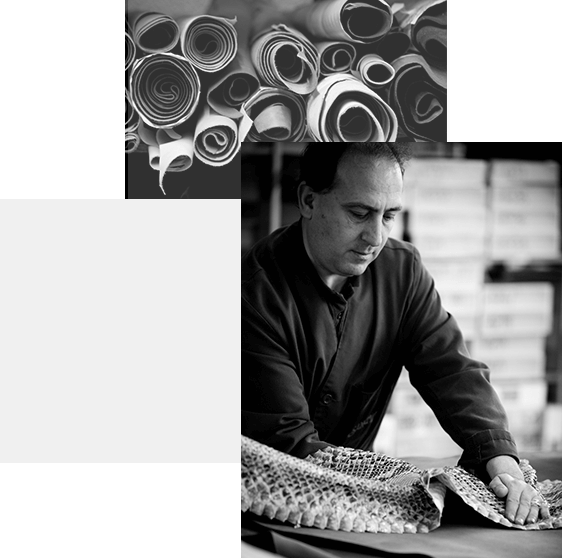 It is one of the oldest, most durable and elaborate methods of manufacture. It consists of making a stitch to join, in a single step, the boot’s upper to the welt and insole. A second independent stitch joins the welt to the sole. There are many types of skin that can be tanned to yield leathers with different finishes and feels. 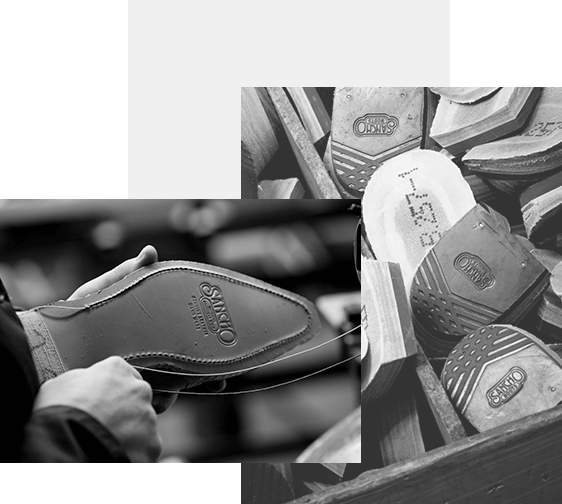 To create a pair of Sancho boots, we select the best skins. The skin is cut into different parts, a step that can be performed manually, requiring a high degree of precision in the use of a die. Pressure is applied to a sharpened piece of iron, and the cut performed by automated machines that have been equipped with the latest technologies to ease and streamline the process. 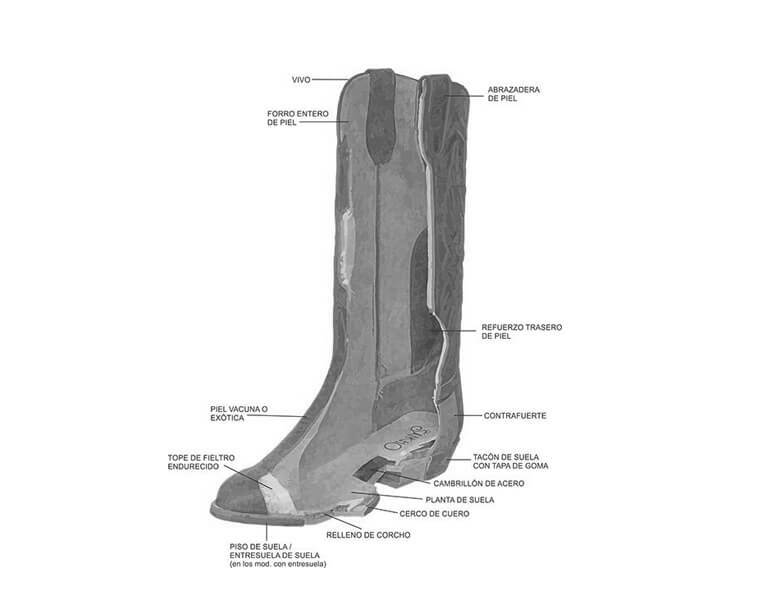 After the skin is cut into the pieces needed to produce a boot, each and every one of them is stitched together to create the upper, that is, the joining of all the skin pieces ready to mount the boot. In addition to the skin, we have a sole with a “wall”, that is, a protrusion with the same shape as the sole, thus creating a cavity in the central area. This is called the insole. Also, the upper and the insole are stitched to a leather welt, an approximately 1.5 cm-wide strip that goes around the front of the boot. This is how the three parts are joined. The leftover leather from the inner part is cut and polished, and then cork paste is applied in the insole. The use of cork is an essential feature of the Goodyear system, allowing the boot to gradually take on the shape of the sole of the foot, and thus offer greater comfort, as well as providing insulation. A metal piece called a shank is added to strengthen the structure. Sometimes a midsole is added to give the boot greater endurance. Then the second stitch is made, joining the welt with the sole, thus completing the mounting of the boot, except for the heel and a few finishing touches. The finished boots are washed and polished, and placed in boxes for shipment to customers. 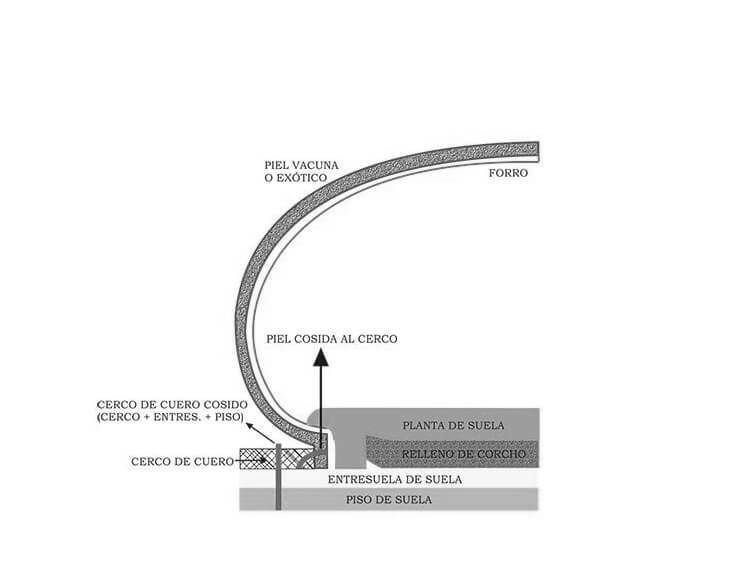 Sancho has been using this method of construction since the company’s founding in 1947. Machines from the United Shoe Machinery (USM) directly from the United States were used. USM trained their own mechanics, repaired their machines and kept ownership over the machine, where the manufacturer paid a sort of “rent” according to the number of pairs produced by the machine. Sancho has preserved some of these machines in its factory in perfect working order. The main features of Goodyear footwear are robustness and durability, a degree of water resistance and ease of repair.